I have just finished writing the copy for Nourish SC, a traveling exhibit of eight panels addressing community food security in my home state of South Carolina. 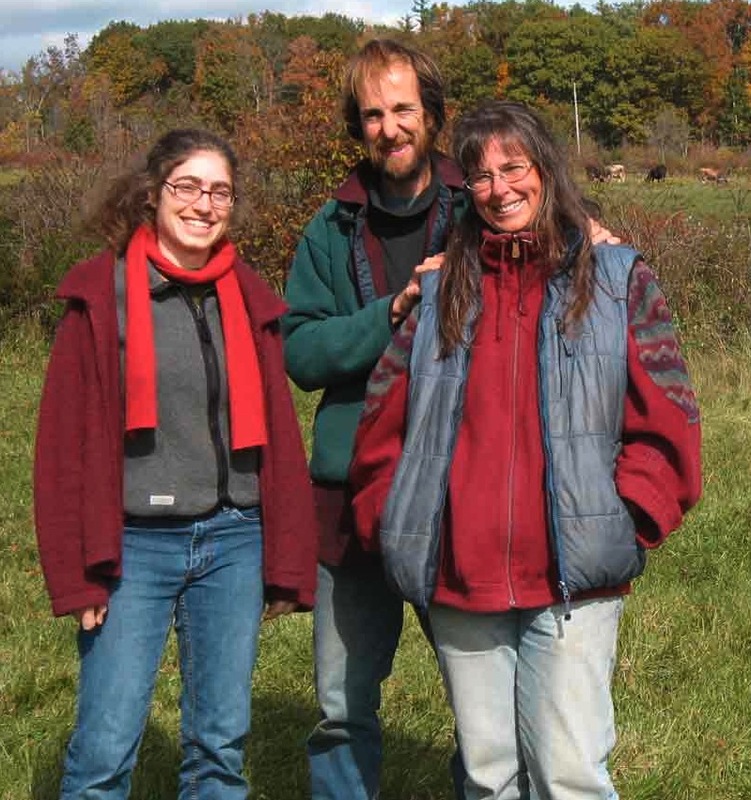 I hope for the exhibit to become a rallying call for members of the local food movement to expand their efforts on the social equity front, which has been ignored in favor of the environmental and economic fronts of the movement. In creating the content for the exhibit, I interviewed 13 individuals involved in either the local food movement or increasing food security, including a local farmer, a USDA official, a food bank COO, social work and public health professors, and a board member of United Way of the Midlands. I immediately encountered tension between the spoken and the actualized goals of the local food movement. "Victory Garden Program. 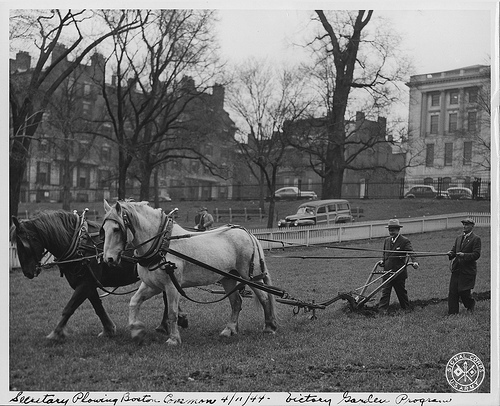 Secretary Plowing Boston Common, 04/11/1944"
Maybe some of you have seen this image before, but it was new to me - I stumbled on it while looking for something else in the Flickr Commons. 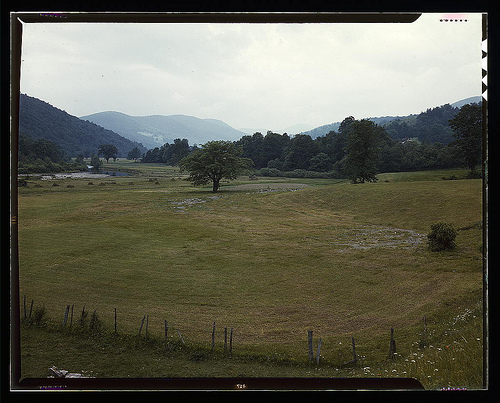 The source captions it as above, and I'm assuming that the "secretary" is the state or federal Secretary of Agriculture, but that's not specified in the archival description. (It looks like it could be Claude Wickard, FDR's Agriculture Secretary in 1944). I love lots of things about the photo, but particularly the fact that they're using draft horses, which seems to suggest either that they were going for an "olde tyme" kind of association or trying to make a point about conserving fuel during the war (or maybe both). And it raises so many questions for me, including where these guys in suits learned to plow with draft animals! So based on the majority of that lengthy ode to farmers of America, what demographic boxes can we check off? Almost always, our imaginary farmer is a native-born white man over the age of 40, probably living in the Midwest, Great Plains, or certain areas of the South. This may be an easy and effective advertising trope, but it doesn't begin to capture the complete story of agriculture and food production in the United States, either historically or today. In the American South in particular, agriculture and food is wrapped up in a messy racial relations stew, one that touches on the history of 300 years of unequal labor and land ownership determined by skin color. I’m standing in the basement of Bondir, the intimate, award-winning Cambridge restaurant, watching Chef Jason Bond dismantle a hindquarter of beef, removing fat from muscle and muscle from bone. As he drops each chunk into its designated plastic tub, he explains to me what it will be used for. Every bit of this 200 pounds of meat will be consumed. The steaks will dry-age for some months; the fat, brightly yellow because the cow was grazing on bright green grass, will be rendered and used for daily cooking; the tough muscles will be stews, cooked with the stock made from the bones. This one animal will feed hundreds of diners; it’s the only way for high-quality meat like this, Chef tells me, to be economic. But I don’t think it’s just economy that drives Bond’s pursuit of a "snout-to-tail" approach to beef, or his painstaking efforts to remove different kinds of pollen from every dried blossom of a fennel bush, or his abiding affection for his long-lived sourdough starter.To show what I mean, here’s a reflection offered by Sous Chef Rachel Miller, as she prepped spiced kuri squash. "I like to read a lot of old cookbooks because they’re more resourceful... it’s more about ingredients and a process... different ways to utilize what grows here, because that’s what we’re going to have a lot of." 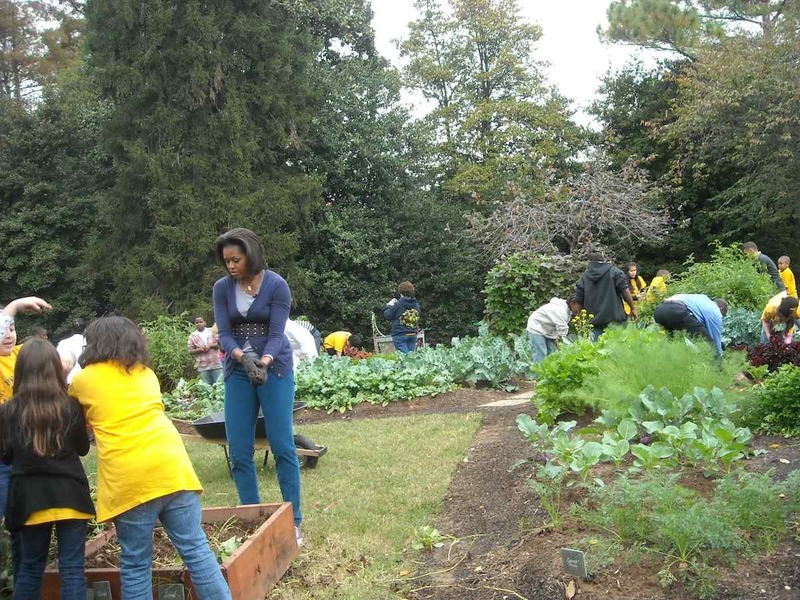 I remember the crisp October day that I stood on the White House lawn, notebook poised, as First Lady Michelle Obama led the first official fall harvest of her White House Kitchen Garden. Mrs. Obama slipped on a pair of black gardening gloves, dug a pitchfork into the sweet potato bed, and pulled up a dirt-caked vegetable. “Now, this is a sweet potato! Let’s see who can get the biggest,” she said, as fifth graders from the Bancroft and Kimball schools in Washington, D.C. prepared to help. One girl squealed, and Mrs. Obama laughed. Then she and the students went to work, pulling out radishes, lettuce, bell peppers, eggplant, and more than a dozen crops. 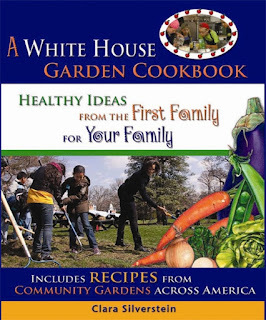 I visited the garden as part of my research for A White House Garden Cookbook, published in 2010 by Red Rock Press. The book chronicles the first year of the White House Kitchen Garden, and includes recipes from the White House as well as gardening groups around the country that work with children. Five years ago, the Slow Food Movement was new to myself and my colleagues at the Jane Addams Hull-House Museum. We considered ourselves to be urban foodies in our own rights, but we were just catching wind of a broad movement that would soon sweep the nation and transform our museum. We wanted a place at the table, but we did not yet know where we belonged. We read Carlo Petrini, Alice Waters, Raj Patel, Michael Pollan. We spoke with farmers, activists, chefs, economists, doctors and historians. We learned that while the Slow Food Movement has radical roots, in the United States it has been characterized by activists as elitist. 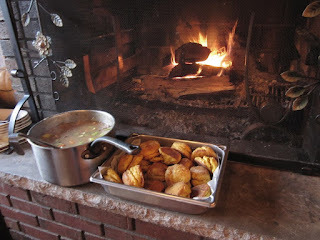 Opponents argue that a movement dedicated to food shouldn’t be concerned with the pleasures of fine foods and preserving the "slow" traditions of the past, but rather should be committed to advocating for food justice and a better future for all. 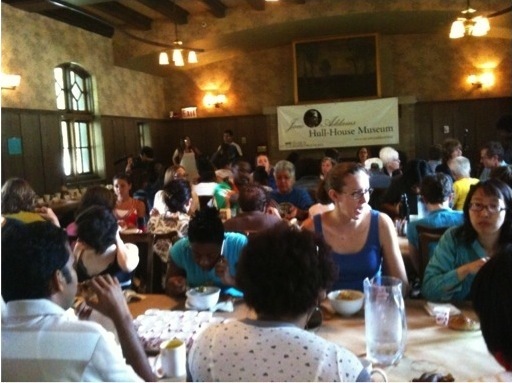 Referring to The Jungle, a book that set off a food movement of its own, Upton Sinclair wrote: “I aimed at the public’s heart and by accident I hit it in the stomach.” For the last five years, the Hull-House has aimed squarely at our audiences’ stomachs, developing a suite of food projects that includes a modern day soup kitchen, an urban farm, an artisan jam operation, an heirloom seed library, and an exhibit called 21st Century Home Economics. 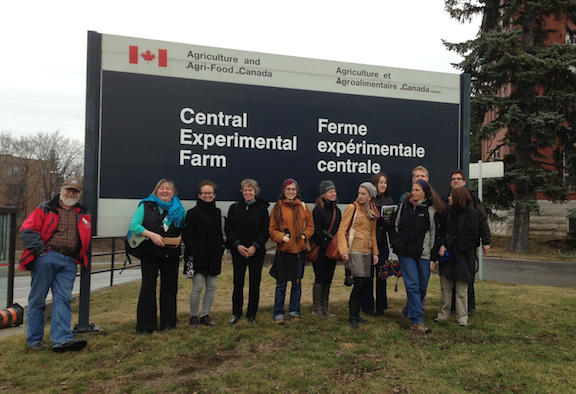 As a result of this work, we offer two responses to the divisions within the Slow Food Movement. The first has little to do with public history but everything to do with movement building, and that is that pleasure is not at odds with social justice. Alice Waters refers to the slow food movement as a delicious revolution, arguing that when pleasure and community-building are prioritized, ecologically and socially responsible systems will follow. This framework has transformed our understanding of what activism looks like. A hot bowl of soup, organic and made with care, serves as a reminder that we are fighting for all people to be nourished in body, mind and spirit. There is pleasure in justice, and in the ongoing struggle we do well to remember that medicine goes down easier with a spoon of honey. 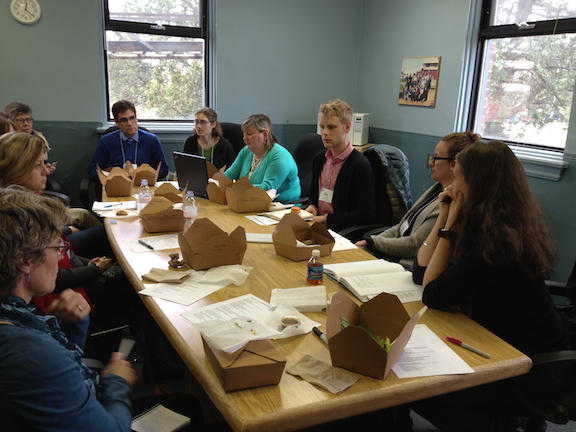 To be honest, we didn’t know much about how Hull-House residents engaged with food when we started this work. 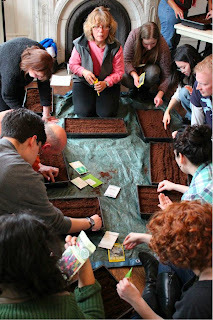 But as we learned more about the food movement, we began to ask new questions of the past. Who cooked at Hull-House? Where did immigrants purchase their food? 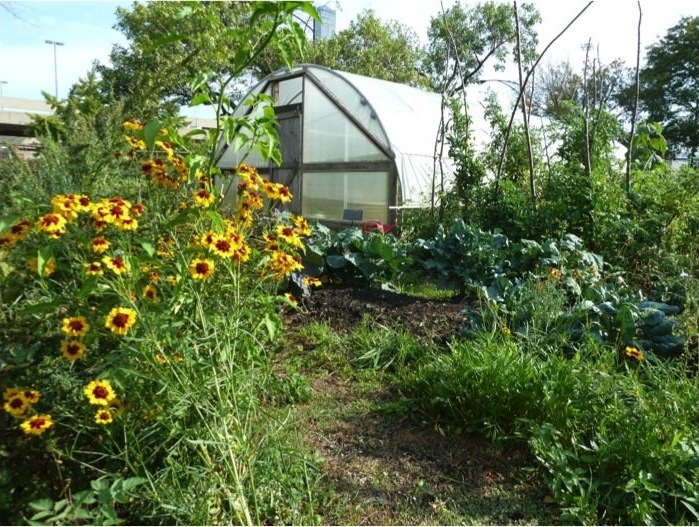 Were there community gardens in the 1890s? What solutions to food insecurity were devised 100 years ago? 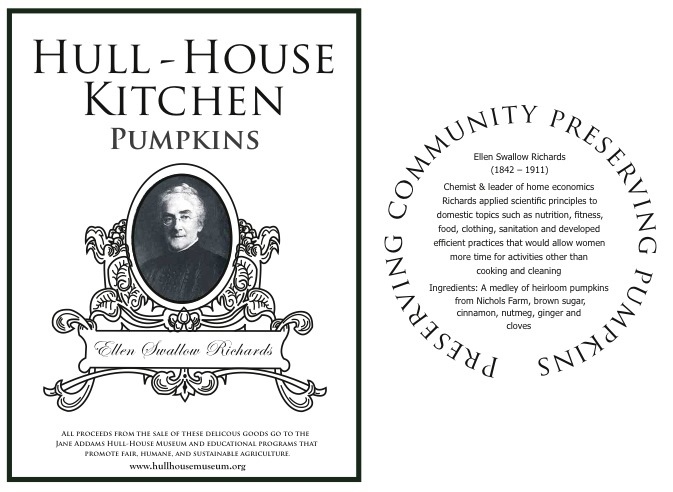 Not surprisingly, our research yielded a bounty: the Progressive Era residents at Hull-House helped create the field of Home Economics and engaged in research on nutrition. They advocated to collectivize housework, to “light one fire instead of many.” They created a public kitchen that served affordable food to families, factory workers, and school children. 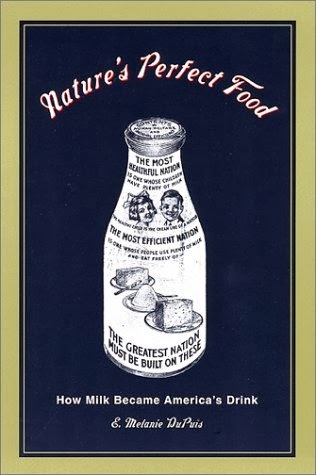 They created the first pasteurized milk station in Chicago, helping to end a public health crisis that claimed the lives of hundreds of infants. 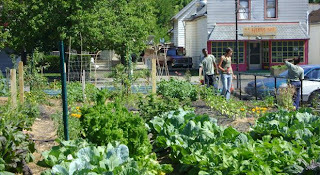 And they formed urban farms alongside their immigrant neighbors in order to nourish and sustain their community. When we examined our site’s history around food, suddenly the past no longer felt distant, nor did the movement feel quite as fraught. This historical content became the foundation of our food programming and contributes significantly our conversation on contemporary issues. 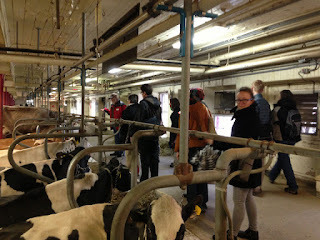 For example, at a program about rapidly increasing desires for raw milk, small batch ice cream and other artisan-made foods, Hull-House staff offered insight about why Settlement residents advocated for the regulatory agencies that many foodies today reject as authorities on what foods are safe and edible. 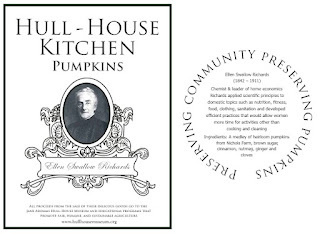 During a conversation about so-called food deserts-- neighborhoods lacking food security--we grappled with how the Hull-House Diet Kitchen failed due to the residents’ lack of knowledge and sensitivity about immigrants’ palates and inflexible notions of nutrition. We now understand the museum’s role as such: to bring together doctors, farmers, chefs, students, economists, and artists in share meals and discuss the food movement today, and to share a broad historical narrative that offers critical insight and inspiration. Five years after we began our love affair with food and justice, we have found our place within the movement. It is in the dining room, on the farm, inside the archive and out in the streets. Photographs: Re-thinking Soup in the Residents’ Dining Hall, 2008; The Urban Heirloom Farm at the Hull-House Museum, 2011; Canning Labels, 2011; Seed Starting Workshop, 2012. I’d been tossing around in my head what to write in this blog post, and thought I would be writing it from eastern Ukraine, but circumstances intervened and I’m actually home in chilly upstate New York. 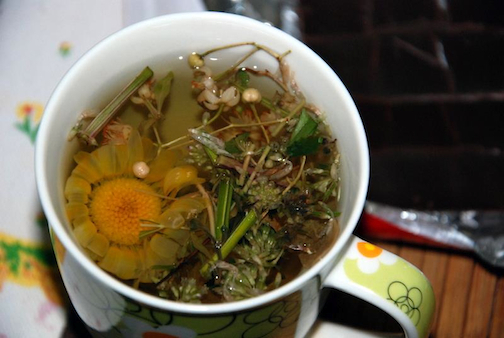 Luckily, this photo appeared in my Facebook feed one January morning, with Katya’s caption, “my daily winter tea.” And somehow, amidst this glorious tumble of collected herbs, my thoughts began to crystallize. I’ve been lucky enough to travel and work in all kinds of different places, but one place that has captured more of me in the last four years has been Ukraine. 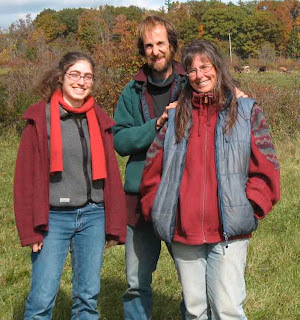 I first went in 2009 as a Fulbright Scholar and have continued to return on an irregular basis, co-founding the Pickle Project with fellow Fulbrighter Sarah Crow to encourage conversation in both Ukraine and the United States about food, culture and sustainability. When I asked about the tea in the photo, Katya replied, “I don't know the exact meaning of those herbs, but I believe they are much better for me as usual tea from a shop, because gathered by my mom on my motherland.” In that one phrase—her mom and her motherland-- she shared both the intensely personal and the intensely political nature of food in Ukraine. The personal means that the local food movement isn’t a movement in Ukraine; it’s a way of life for many. 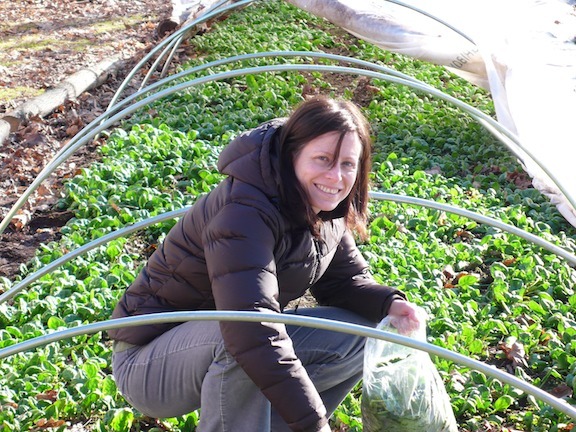 The idea of a local food movement generates many bemused smiles. 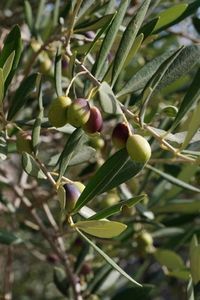 But that way of life depends on shrinking generations of mothers and grandmothers who still make the time to collect herbs, to pickle and to preserve, either in their home villages or in their dachas (summer homes) where intensive small cultivation is how every weekend is spent. 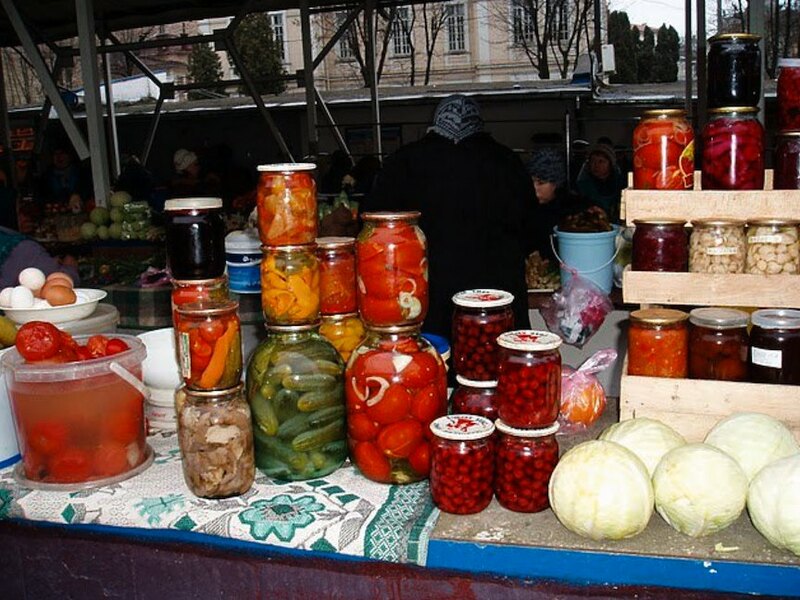 The political nature of local food is harder to see than the village gardens and root cellars, but like the old Soviet system, it pervades every part of Ukrainian life. Most Americans have never heard of Holodomor, the enforced famine of 1932-33 during which Stalin’s orders starved millions of Ukrainians and other Soviet citizens to death, despite living in the region known as the Bread Basket of Europe. And few Americans understand the full extent of the extreme privations that happened on the Eastern front during World War II. But most of us do know a bit about Chernobyl and the contamination that continues to resound on many levels—including the food supply. Those 20th century events created powerful national and personal memories. Those memories mean that the political is personal. For many, the safest path in the food chain is to rely on your own family’s hard work--or the babushka at the market selling homemade pickles--no matter that every day you pass a McDonald’s outside the metro station. 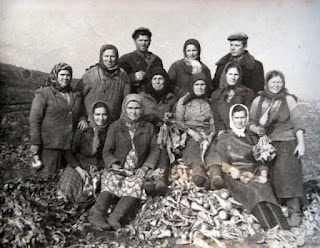 The transition from a peasant economy to the Soviet collectivization of agriculture is something virtually unaddressed in Ukrainian museums, much the same way American local history and outdoor museums often take a pass at the transition to corporate agriculture. It’s complicated—so it’s often ignored. If museums everywhere cannot address the big changes of the 20th century, it’s equally hard to imagine how they will address the big changes of the 21st. I think of my extended experiences in Ukraine as a continual, surprising, process of turning my own thoughts and assumptions around, looking at them from different angles and perspectives. As public historians, I think that’s one role we can play, no matter where we are, creating situations where farmers, foodies and everyday people can look at food from different angles. We can create dialogues that cross boundaries, including those of class and location. I’m interested in exploring how historians could contribute to--and how museums might create--a model such as Conflict Kitchen, the amazing Pittsburgh pop-up that only serves food from countries that the United States is in conflict with as a way of encouraging conversation, including international Skype parties between citizens of Pittsburgh and those in Iran and Afghanistan. 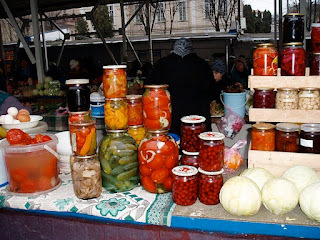 In 2011, with support from the Trust for Mutual Understanding, the Pickle Project sponsored a series of four open public conversations in four Ukrainian cities. Such open conversations are unusual in Ukraine—and not surprisingly, we found that the food conversations opened up much broader conversations about politics, memory, a sense of place, and the future. (You can read more about the conversations both on our blog and in an article in the Spring, 2012 issue of Museums & Social Issues). Such work means though, that we have to go out of our comfort zones, as historians and as museums, take a hard look at our own biases and assumptions and move beyond the butter churn. Workers on a collective farm, undated. Briann Greenfield: What row to hoe? 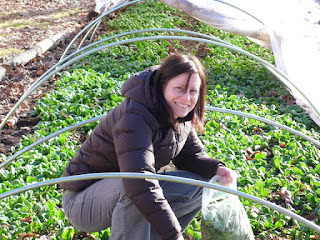 The author picking spinach in February. 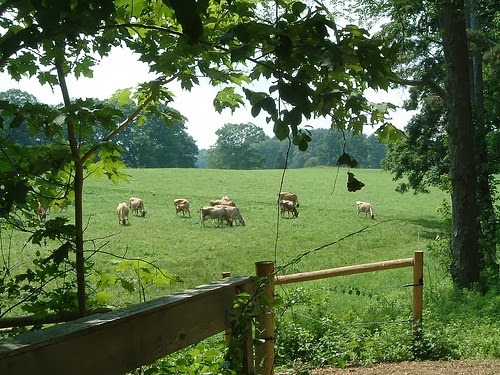 What role should a state museum, like the Connecticut Historical Society (CHS), play in preserving and interpreting the history of agriculture and food? How can such an organization tell the history in a way that fits its specific mission, institutional strengths and priorities? I ask these questions from a several perspectives. I am a Professor of History and Public History Program Coordinator at Central Connecticut State University where I teach courses in museum studies and material culture that regularly use the museum’s collection. I am also a member of CHS’s Collections Steering Committee and Deaccession Task Force, two groups charged with enhancing the collection’s strength, relevance, and overall quality. 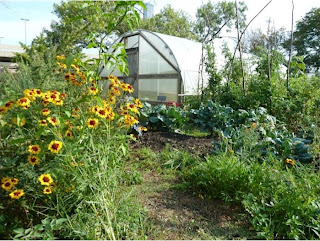 Finally, I’m interested on a very personal level as someone deeply involved in the local food movement as a 4- season gardener on my own city lot and a regular volunteer at Urban Oaks Organic Farm, a 12-year old farm in an urban food desert. These perspectives make me see both the potential for agriculture and food history, but also make me cautious about committing limited resources to its pursuit.